We often find ourselves offering advice with regards to tourist visas, as they are a requirement for many African countries including Egypt, Tanzania, Zambia, Zimbabwe and Kenya. In some cases you can get a visa on arrival at the airport, in others you will need to plan ahead and get one from the embassy in advance. If you have a choice, getting a visa in advance does not necessarily save you time when you arrive at the airport, but it does save you from having to part with some precious foreign currency on arrival. The new KAZA UniVisa allows visitors entry to both Zambia and Zimbabwe and is available for USD 50 at the local airports, and land border crossings close to Livingstone and Victoria Falls. Perfect for visitors looking to see the Falls from both countries, and highly recommended during the “low-flow” seasons when staying on the Zambian side. Kenya, Uganda and Rwanda announced the birth of a new “East African” tourist visa, in January 2014. The tourist visa will be valid for entry into all 3 countries. Unfortunately we don’t know exactly when this visa will be available, and the embassies could not offer up an exact date. But we will keep you informed, and you can also check the respective Consulate/Embassy web sites for further updates! We usually recommend you first call the embassy or consulate of the country you are visiting to find out the most current requirements. Regulations can change day by day and we try and keep up with them, but it’s not always possible. The rules also vary depending on your nationality. Even in our own office we have different experiences, Yvette rarely needs to bother with visas in Africa, since she holds a South African passport; Anouk has a Dutch passport and visa fees are often different for her than US passport holders. Don’t wait until the last minute to call, as you may not get through the first time you try. 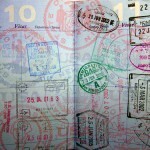 Will you need proof of an airline ticket purchase or tour itinerary? Does the validity of the tourist visa start once issued, or on arrival in the country? How much does it cost and what is the accepted method of payment? Once you’ve gathered all the information, make sure you get the right application form and follow all the guidelines. It’s likely you will need some passport photos, a money order, and a passport with blank pages that is valid for at least six months after you arrive in the country. We recommend you start the visa process at least a month before you depart on your trip so you have ample time to get your passport back with the visa in it. If you need multiple visas for a safari that encompasses several countries it may be worth using a visa agency to avoid a lot of mailing back and forth. *Zambia – US $50 (single entry) /US $80 (multiple entry)/ US $20 (day trip). Visa fees are now payable by VISA, MasterCard or American Express. Part of what we strive for at African Portfolio is to provide unique, customized itineraries for our clients. We love to involve our clients with the planning and choosing of hotels, routes and safaris. By being informed about your trip every step of the way, you will know exactly what borders you may be crossing, and what cities you will be flying into. This will make it easy to ensure you get the right tourist visa in good time for your trip of a lifetime!